Oh my! This is a trip I nearly missed out on. 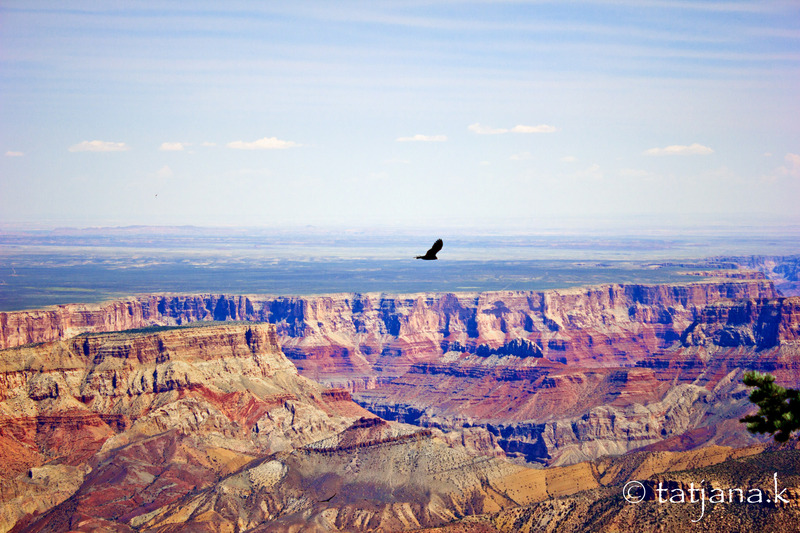 I have been to the Grand Canyon South Rim a number of times. It’s breathtakingly beautiful. So when we planned this trip, we thought we should skip the Grand Canyon since we have already been there, done that. Luckily, we changed our minds! 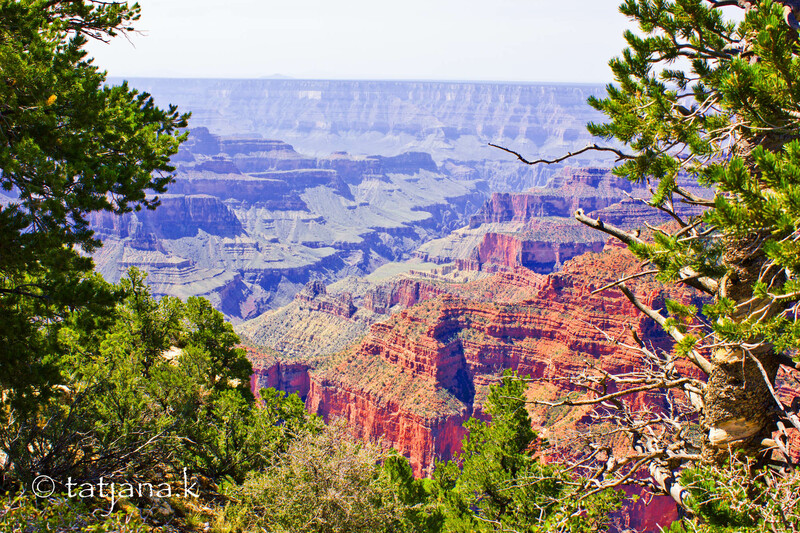 The drive from Kanab to the Grand Canyon takes us through small towns and amazing vistas. Our first stop is at Jacob Lake and we have been told to absolutely stop at Jacob Lake Inn to get cookies. We need a lunch snack, so that’s an easy stop. 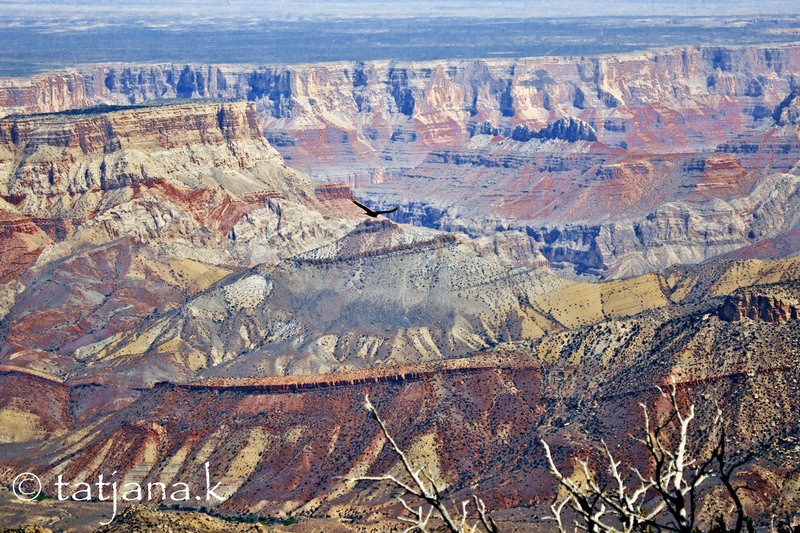 And all I can say, when you drive to the Grand Canyon North Rim, do stop! Get the cookie in a cloud! Just saying. Don’t say I never told you! The. Best. Cookie. Ever! So, off we go. And we get breathtaking views straight away. 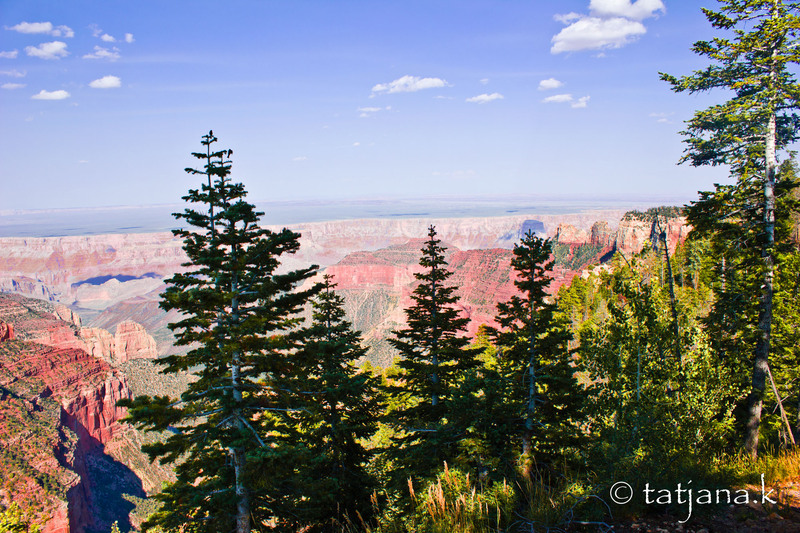 The beauty of the North Rim is that there are trees. Forrests even. On the way to the entrance to the North Rim, we see a huge section that was burned down in a previous wildfire. I am not taking any photos. It is way too sad. But then we arrive at the Grand Canyon and I forget all about the wildfires. One thing stands out. If you have been to the South Rim, you know how crowded it gets. 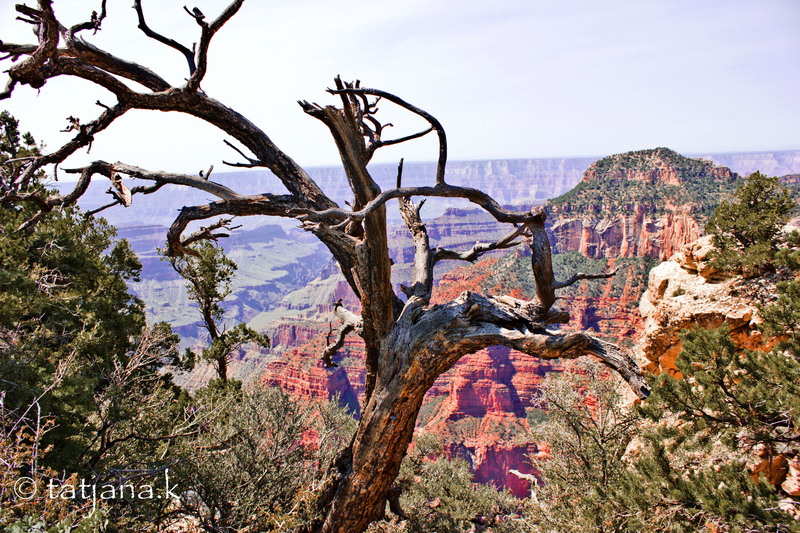 Here at the North Rim, it is quiet. There are very few tourists and most of them are day-hikers. I am falling in love with this part of the Grand Canyon straight away. It is peaceful, quiet and with a raw beauty that I can’t describe. Now, remember how I complained at the beginning that no one ever listens to me and the park ranger gave me three things to visit instead of one? Now, I am humbled and have to say, “Thank you, Mr Park Ranger! Without your guidance we would never have seen these amazing sights. Thank you!”. Look at these amazing views (and lucky shots). Then at our last stop, Cape Royal, we finally get a glimpse of the Colorado River. Let’s see if you find it, too. My legs are faster than my brain. This worries me for many reasons. But let’s just face it, it’s better than getting eaten by a bear. And here is the photo that I risked my life for.. 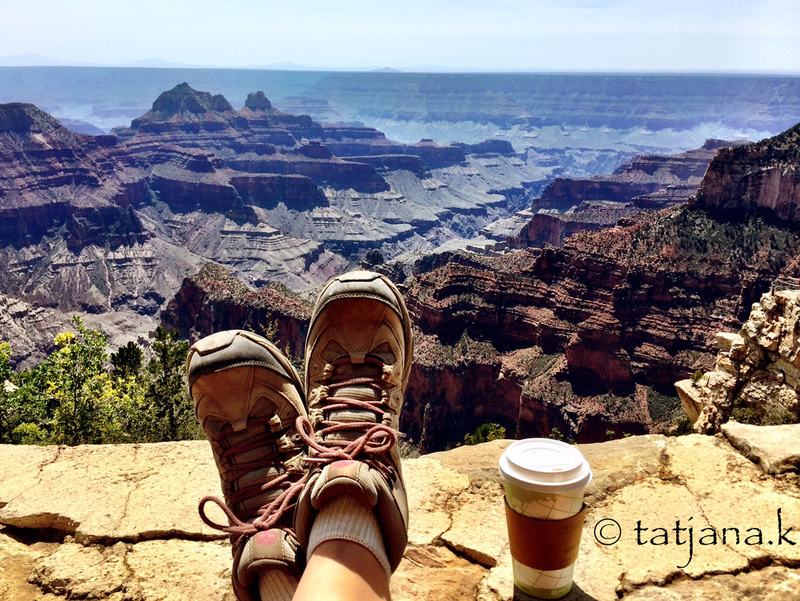 This entry was posted in USA Travel and tagged arizona, cape royal, colorado river, grand canyon, jacob lake, jacob lake inn, north rim, road trip, south rim, travel.